These illustrations are from the book, “Seasons on the Flats”, by my friend, Bill Horn. The book includes 15 pencil renderings, including a three-panel map of the Florida Keys. 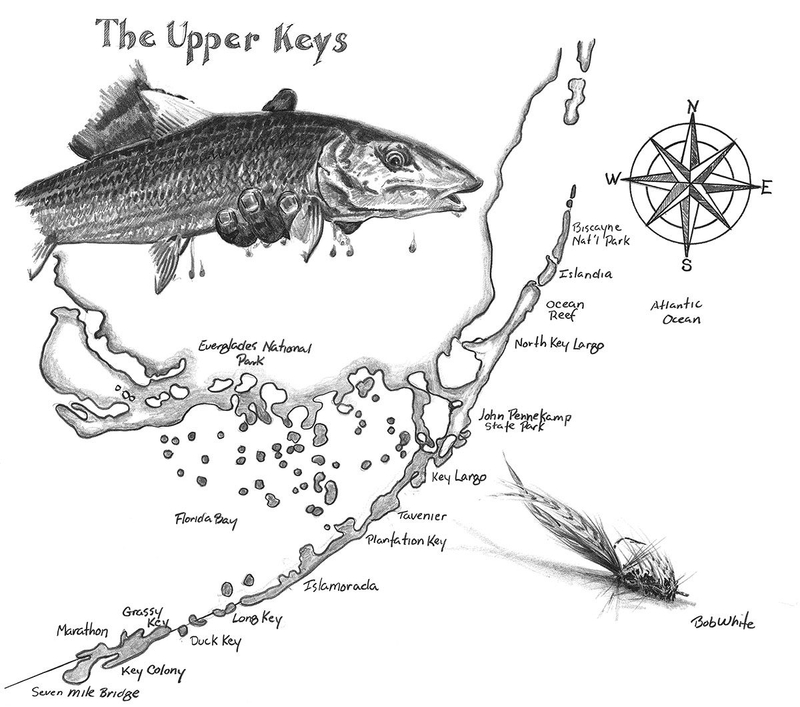 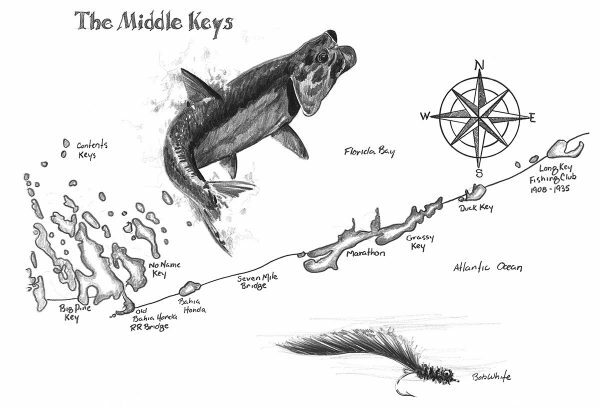 The set of three maps is based on the Keys Grand Slam – Bonefish, Tarpon and Permit. 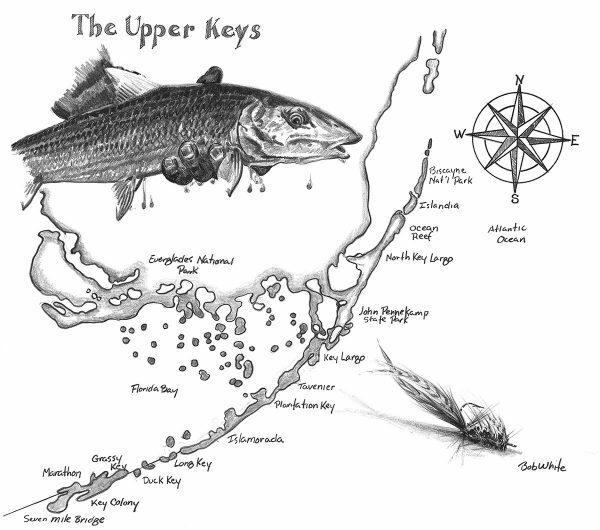 Each map is drawn on a 19 x 17 inch sheet of Belgian 100% cotton rag archival drawing paper. 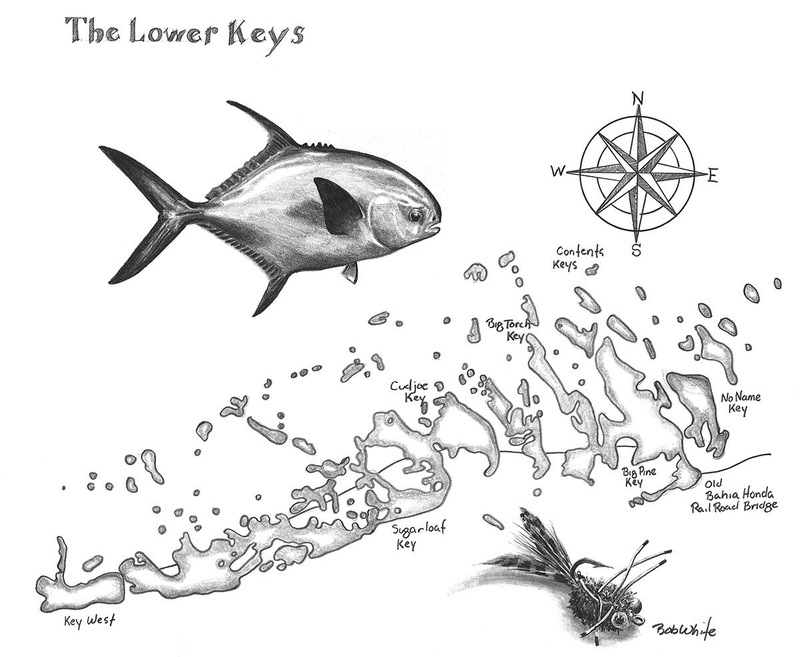 The maps are also available as fine art prints.